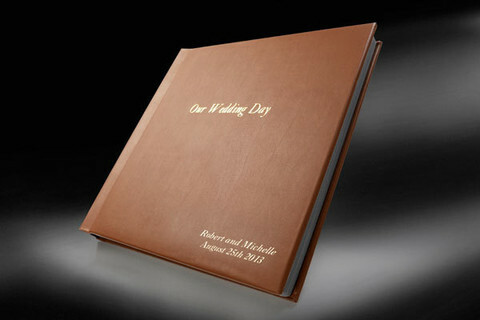 In 50 years, your album will be the one thing that you and your family will have to show exactly what it looked and felt like to be at your wedding. 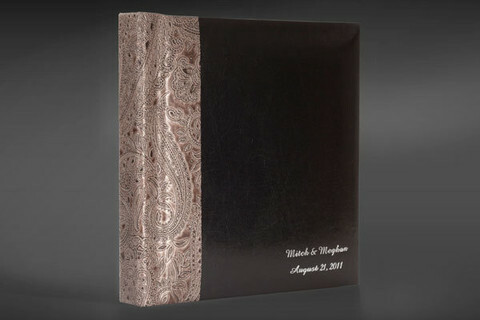 Our wedding books are fully customizable. 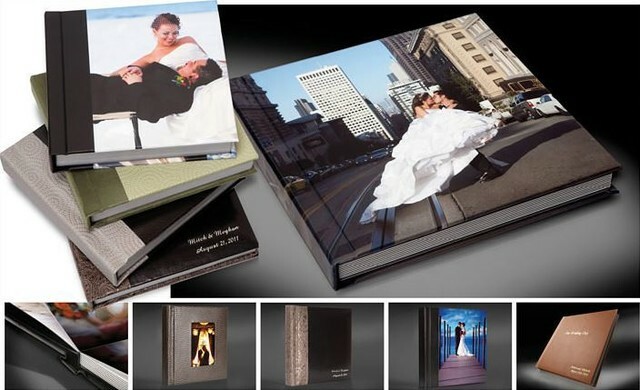 Choose from an assortment of mix-and-match cover materials, page gilding, custom imprinting, and more. You can have up to 70 pages in the book. 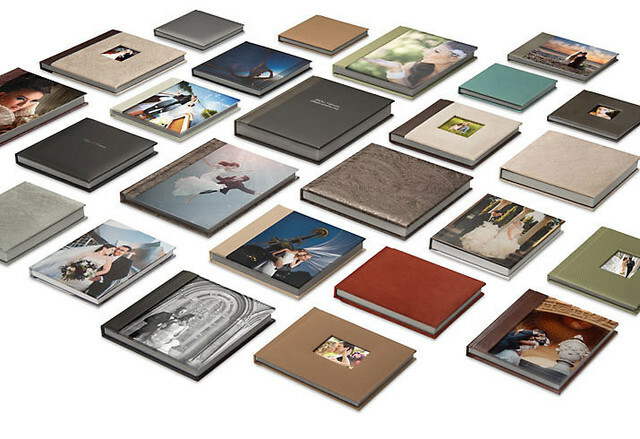 With nearly endless possibilities, we can create a unique book that is perfectly suited to your tastes. 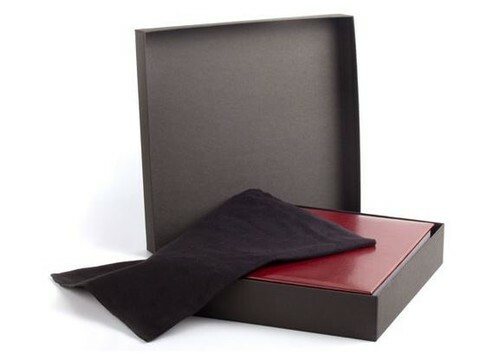 Each book is delivered in a black felt bag inside your choice of the gift box to protect your valuable memories. Monotone covers use a single cover material for a classic and refined look. Photo cut-out covers are a hybrid of photo and material. Your chosen photo will be in a laid into the center of the album cover with a material of your choosing being used across the rest of the cover. 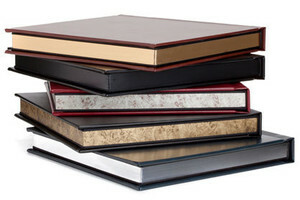 Choose from a luster, metallic, or canvas surface photo cover combined with the spine material of your choice. The back of the book can be a second photo cover or a second cover material. Custom imprinting can be added to the fron cover of Monotone, Duotone or Tritone books. Imprinting colors include Gold, Silver, or Embossed(Italic Font Only). Add up to 3 lines of text in the center and/or lower right front cover with a material cover for $10 per line. 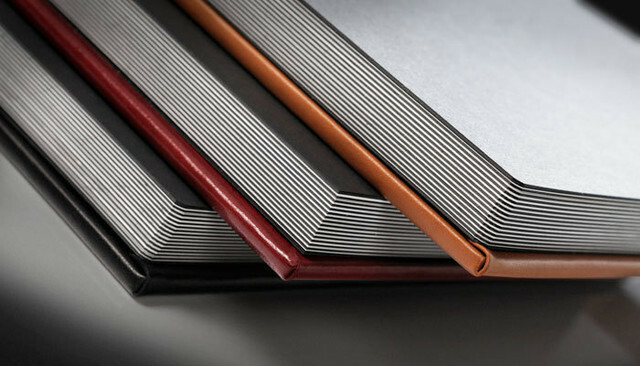 Optional moire lining adds style to the inside covers of your book. Choose between black or white silk. 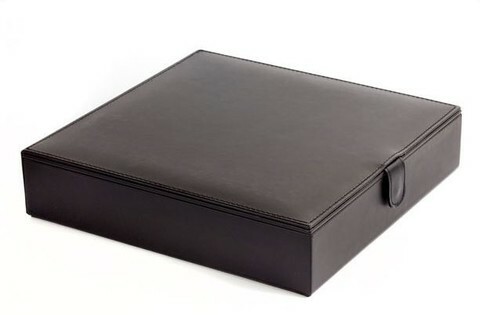 The moire lining option also indludes a vellum fly-page for an elegant finishing touch. 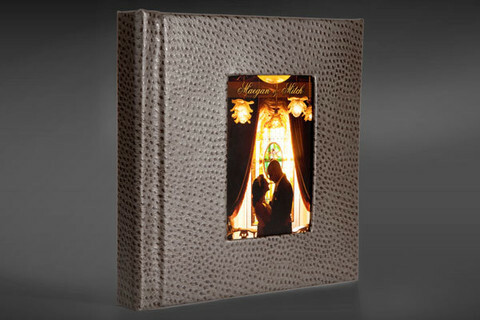 Book pages are available with your choice of 1/8-inch round, 1/2-inch round, or square corners. Your choice for the cover and/or spine material.